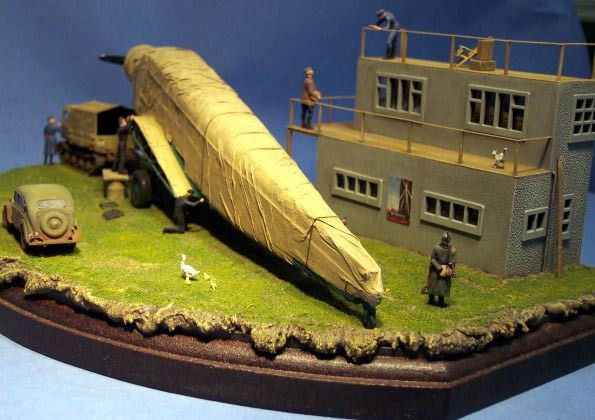 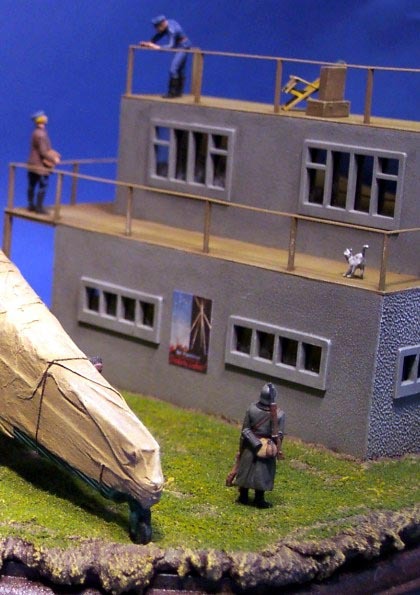 This diorama shows the preparation of an Ju 52 for transport, all based on an original reference picture. 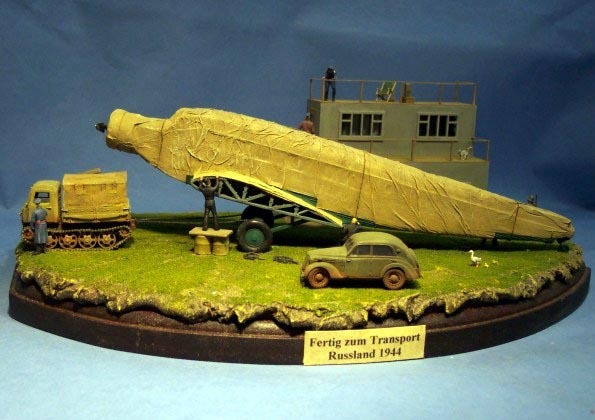 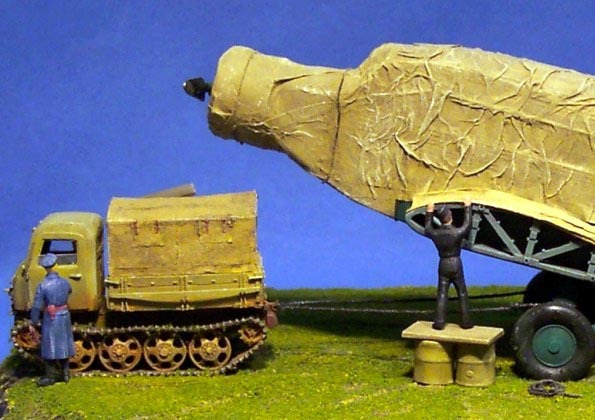 The RSO comes from the Milicast range (I made a new canvas from tissue paper), the Ju 52 from Italeri kit and the figures from different Preiser sets. 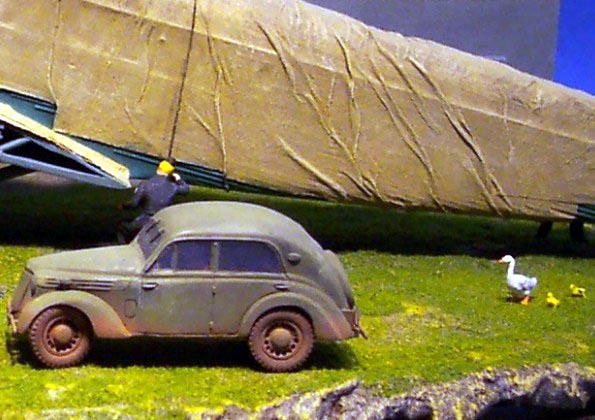 The Renault Juvaquatre came from one small French manufacturer. 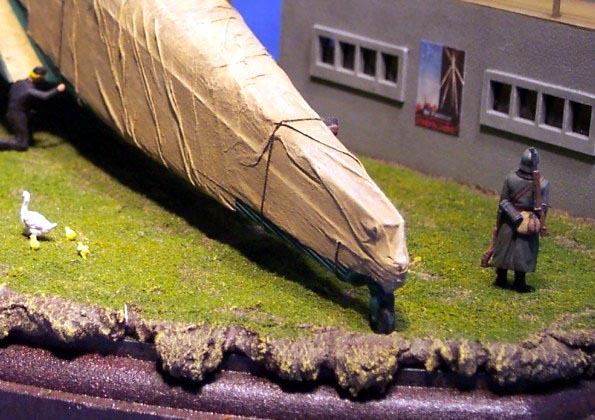 The building in the background is a modified Airfix kit (Tower).